Nearly 1,200 miles away from Ferguson, glued to my television, watching CNN coverage of the protests there, I could hear the reaction to the grand jury’s decision loud and clear. Chants and police sirens rang through my Boston neighborhood. I was one of many in the nonprofit community pondering how a Midwest town descended into unrest we haven’t seen since the L.A. Riots. Most of us are alarmed by the almost unbelievable disparity in Ferguson’s civic life that is fueling the protests. African Americans are two-thirds of the city’s population, but whites serve as mayor, five of six city councilors, six of seven school board members, and 50 of 52 police officers—reduced by one with Darren Wilson’s resignation. However, are we alarmed at the nonprofit sector’s own lack of representation? 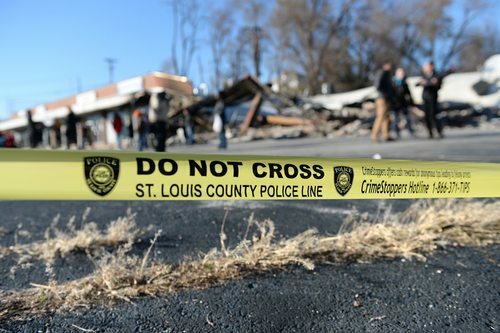 Despite groundbreaking efforts by the Center for Diversity and the Environment, the D5 Coalition, Green 2.0, and New Generation of African American Philanthropists, the glaring disparity in nonprofit leadership bears a striking similarity to Ferguson. People of color are currently 36 percent of the U.S. population and are expected to grow to 50 percent as early as 2042. According to the Annie E. Casey Foundation, at least 60 percent of nonprofits serve people of color. However, several surveys of nonprofit employment—from Commongood Careers to American Humanics (now the Nonprofit Leadership Alliance)—have found that whites lead 9.5 out of 10 philanthropic organizations. Only seven percent of nonprofit chief executives and 18 percent of nonprofit employees are people of color. The disparity continues in governance, where nonprofit policies and programs are set. BoardSource’s most recent survey reports that only eight percent of nonprofit board members are minorities, and 30 percent of boards lack a single member of color. Despite diversity rhetoric, nonprofits have made no progress in recruiting racial and ethnic minorities. The BoardSource survey found that while 63 percent of organizations say that diversity is a core value, the percentage of people of color on nonprofit boards has not changed in 18 years. Lacking substantive input on how nonprofits should serve them, people of color are relegated to being mere recipients of philanthropy rather than becoming active partners in their communities’ success. The nonprofit sector has a moral and programmatic imperative to keep pace with the nation’s growing diversity, and Ferguson presents a catalyst moment to make real change. Diversity statements and commitments mean nothing without concrete steps from organizations. Transparency. Nonprofits should be required to disclose their employee and board demographics alongside 990s and audited financials. GuideStar has recently added new voluntary diversity metrics—including sexual orientation, gender, and disability status—of employees, and other watchdogs like Charity Navigator should follow suit. Policies. Going beyond diversity statements, nonprofits should adopt affirmative action policies to have their board, leadership, and staff mirror their communities’ demographics by 2020. As important as conflict of interest and records retention, affirmative action policies should include aggressive recruitment of minority board members and mandating at least one minority finalist for staff candidate slates. Executive recruitment firms should adopt similar policies to recruit and present minority candidates for all nonprofit searches. Outreach. Fulfilling these policies will mean stepping outside of comfort zones to recruit people from new sources. Many nonprofits I have worked with complain that they have difficulty attracting minority candidates for senior staff and board positions without having performed outreach to communities of color. Diversity audits. Through formal reviews, nonprofits should learn whether minorities feel welcome to join them. Often, policies and culture create unintentionally hostile environments that can sabotage efforts to recruit and retain minority staffers and volunteer leaders. Of the minority board members who responded to BoardSource, more than 60 percent felt excluded from power within their organizations, and 13 percent had negative experiences due to tokenism. I myself resigned from a nonprofit board after experiencing several micro-inequities—subtle, often unconscious messages indicating that my value to the organization was not equal to other volunteers. Diversity audits, much like capital campaign feasibility studies, can uncover these hidden issues by eliciting candid feedback from minority volunteers, staff, and community members and by recommending concrete changes. Leadership from funders. The needle will not move on nonprofit diversity unless foundations and corporate donors use the power of the purse to force grantees to make aggressive strides. Sector change is slow and difficult in itself, and our nation’s discomfort with race makes addressing diversity exponentially harder. Without financial incentives, most nonprofits will either shy away from confronting these issues or launch halfhearted attempts. The Z. Smith Reynolds Foundation has a comprehensive policy requiring its grantees to have boards reflective of their communities. If an applicant does not have a representative board, it must submit a written, concrete plan to achieve racial diversity before receiving funding. The Foundation will provide technical assistance in achieving diversity goals, but if no progress is made, it can decline to make future grants. Foundations and corporate donors can also include diversity work in capacity-building grants, funding nonprofits that are willing to take actionable steps toward inclusivity but may be unable to afford a diversity audit or executive recruitment help. Many of us are alarmed by the events in Ferguson, but is our sector perpetuating the same lack of representation fueling that community’s unrest? We can respond to Michael Brown’s death and Darren Wilson’s exoneration through marches and organizing, but we would be hypocrites to ignore the disparity within our own ranks. Changing how our sector does business will be difficult, but holding the moral compass, nonprofits have a responsibility to catch up to government and lead where private industry has not. However, significant change won’t happen until funders push nonprofits to boldly tackle this issue. Derwin Dubose is a Sheila C. Johnson Leadership Fellow at the Harvard Kennedy School of Government Center for Public Leadership and co-founder of New Majority Community Labs, a social venture empowering communities of color to identify and solve their own challenges.